In 1 Chronicles 15:16, David spoke to the chiefs of the Levites to appoint singers and musicians to raise sounds of joy. Their main purpose was to raise sounds of joy. Worship is to create joy. It is to create an atmosphere of joy. It is to bring and produce joy in those who hear it. (1 Chr 15:16) Then David spoke to the chiefs of the Levites to appoint their relatives the singers, with instruments of music, harps, lyres, loud-sounding cymbals, to raise sounds of joy. (Ps 33:3) …Play skillfully with a shout of joy. (Ps 63:7) …in the shadow of Your wings I sing for joy. (Ps 84:2) …My heart and my flesh sing for joy to the living God. 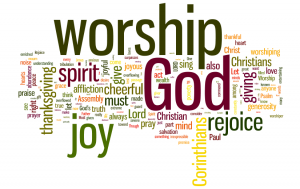 Why does God want us to sing for joy? It is because God loves joy. In Psalm 16, David says that in God’s presence is fullness of joy. 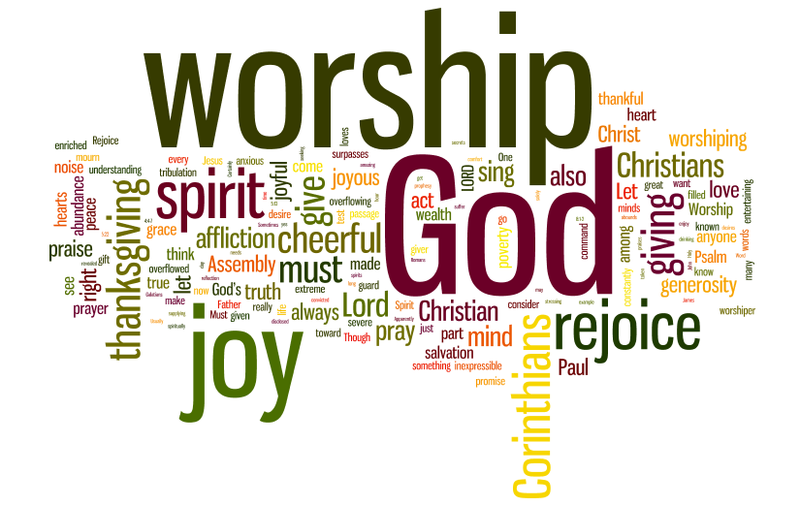 We know that when we worship, we are filled with His Spirit and His presence fills the place where we are worshipping. The Lord exhorts us in Zechariah to sing for joy and be glad. He goes on to say “for I am coming and I will dwell in your midst.” We should sing for joy because He does dwell in us and in our midst. We are temples of the Holy Spirit. He wants you and I to sing for joy. Lord, I ask You to make us a house of joy. May our singers, musicians, and congregation sing songs of joy. Help us create an atmosphere of joy. 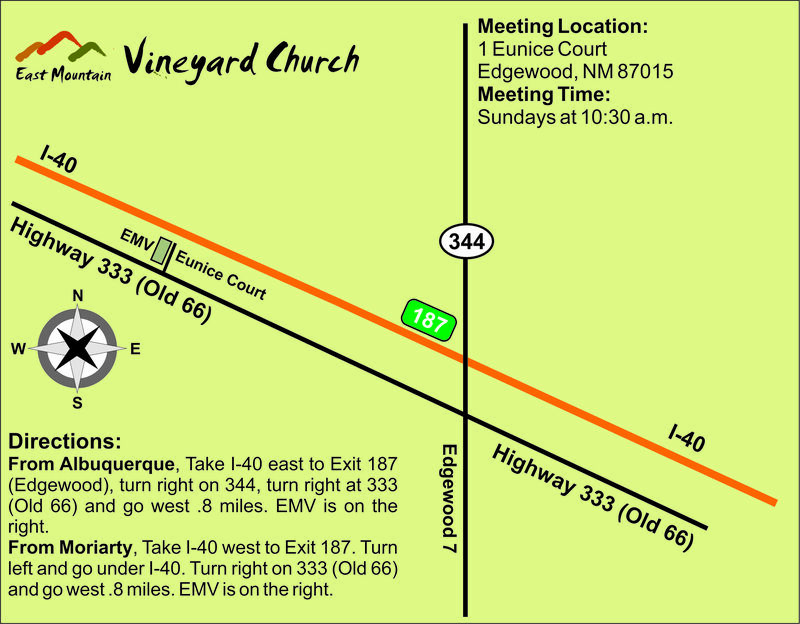 May those who enter our services be filled with joy and gladness. May You be honored and glorified by our joyful praise. I pray this in Jesus’ name. Amen. 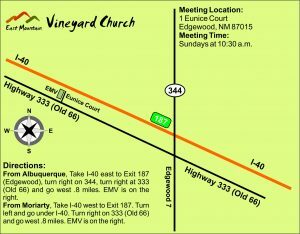 This entry was posted in Worship and tagged East Mountain Vineyard, EMV, Heart, Joy, Praise, Presence, Worship. Bookmark the permalink.